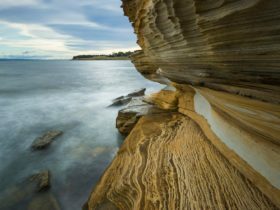 Tasmania’s east coast is a coast of contrast – sunshine and sea life, wine and wildlife, crags and beaches, history and adventure. 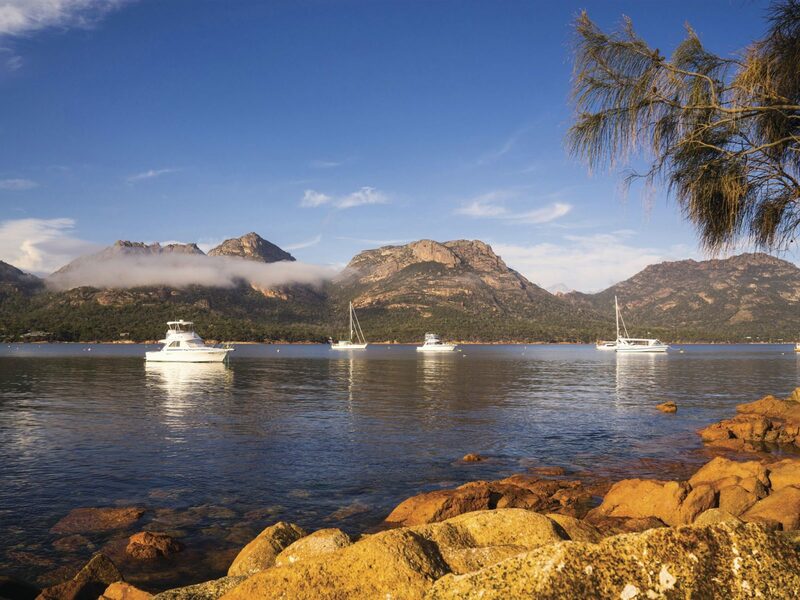 It’s a coast of national parks – Douglas-Apsley, with its quietly flowing rivers, eucalypts and Oyster Bay pines; Freycinet, a bushwalkers’ and sea kayakers’ paradise; and Maria Island, with its history, walks and fauna. It’s a coast of fine food and wine – as you journey on, you’ll discover the flavours of the area’s fresh, natural produce. Place names tell the region’s heritage: Dutch navigator Abel Tasman mapped Schouten and Maria; Frenchman Nicolas Baudin charted Freycinet; nostalgic Welsh settlers named the town of Swansea,Triabunna and Wielangta remember thousands of years of Aboriginal presence. Islands float on the horizon – across Mercury Passage, Maria is an island rich in history, with beaches, cliffs and mountains to explore. You can reach it by ferry from Triabunna. Further north is the craggy outline of Schouten Island and the graceful profile of the Freycinet Peninsula, with its sea cliffs and forests, tracks and beaches. The holiday town of Coles Bay nestles in a sheltered corner – from here it’s a short walk across a saddle to the perfect half-moon of Wineglass Bay, ranked as one of the world’s best beaches by US- based Outside magazine. Above Coles Bay’s quiet beaches, The Hazards’ pink and grey granite rocks, daubed with orange lichen, rise steeply. Climbers and abseilers test their skills, relishing the perfect friction, dramatic exposure and exciting height of crags that plummet to the water below.